Is it really so unprecedented, though? The US National Security Agency in 2011 described its “New Collection Posture” toward global electronic communication as “Know It All…Collect It All…Process It All…Exploit It All.” Hard to get much vaster than that, isn’t it? The China piece does have a couple of acknowledgements that these issues are not totally foreign to the United States. 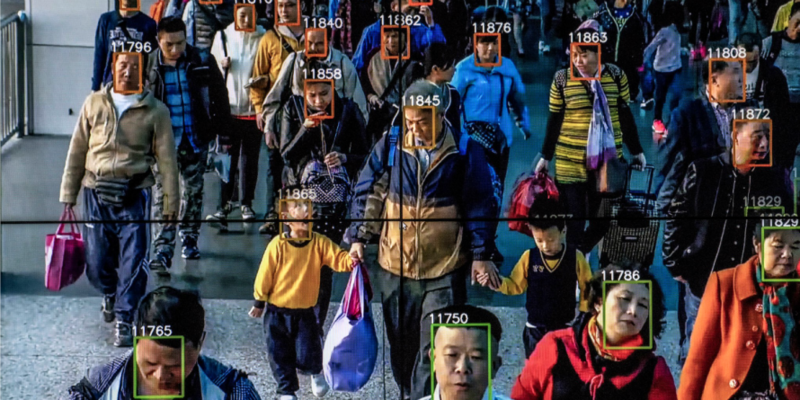 At one point it notes: “Already, China has an estimated 200 million surveillance cameras — four times as many as the United States.” Not noted: China has a bit more than four times the population of the United States. At another point, it mentions that the US director of national intelligence held an “open contest for facial recognition algorithms” in 2017—which a Chinese company won. But you won’t likely see New York Timesheadlines about the “dystopian dreams” of the US surveillance state. As it happens, by the standard measure of inequality, the GINI coefficient, the US and China are almost exactly as unequal—41 vs. 42.2, according to the World Bank—and China’s GDP is growing almost twice as fast. Would the New York Times ever cite the US’s wealth gap and slowing growth as an explanation for the expansion of the NSA’s powers?